It seems that the targeting of Muslims and Islam has become a kind of national theater in France. Unlike theater, however, the disturbing trend can, and will turn ugly – in fact to a degree it already has – if the French government doesn’t get a grip on reality. The world, including France, is a complex, multifaceted and fascinatingly diverse place; it cannot be co-opted to fit national specificities determined by a group of irritable far right racists with a distorted interpretation of themselves and others. Unfortunately, France is not alone; it merely highlights the most obvious manifestation of growing anti-Muslim sentiments throughout Europe. Unearthing the reasons behind the disturbing phenomena is hardly an easy task, for it arguably requires a greater examination of the political, economic and social woes of European states than it does of the ‘shortcomings’ of Islam. 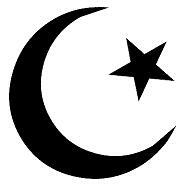 Islam is a great religion in many respects; it has endured for over 1400 years. Its membership is never confined by skin color, culture, political ideology or geographic boundaries. Its views of antiquity, on equality, women rights and peace are considered progressive even by today’s standards. The detractors of Islam fail to see all this. If Islam is dissected politically or ‘academically’, the investigation is done for the sake of destroying its repute, and discrediting or humiliating its followers. The Swiss People’s Party (SVP) may claim that their commitment is to keep Switzerland secular, devoid of symbols of oppression (as in a mosque’s minaret), but this only sounds like incoherent blabber and reflects nothing but a growing tendency towards racism, intolerance and ethnocentrism. These trends are glaring violations of the liberal philosophies associated with European countries, which guarantee individual and collective rights, including those of self-expression and freedom of speech. In France, the phenomenon is protracted and more dangerous. Considering that France is the home of five million French Muslims, rightwing tendencies threaten future discord in the country. Here, one must recall the alarming words of Britain’s first Muslim minister, Shahid Malik. Himself a victim of hate crimes, Malik lamented a year and a half ago that many Muslims feel targeted like the “Jews of Europe”, and that many British Muslims feel like “aliens in their own country”. While Many Muslims share the same feeling of nationalism and patriotism in their homelands in Europe, rightwing racists – who are unfortunately becoming a dominant force in shaping public views in various European states – insist on a very narrow definition of what makes a French, a British, a German or a Swiss. There is indeed an identity crisis that is real and frightening. And it’s one that is not engulfing Europe alone, but also affects and in some instances has devastated many cultures all over the world. While it is a byproduct of misguided and unchecked globalization, in the case of Europe itself the issue is very national and very personal. The European Union, which started as a purely economic body has morphed into a political and pan-nationalist organization that is attempting, by accident or design, to define a united Europe and a prototypical European. This has raised fears of the loss of national identities or whatever remains of it. Expectedly, it is the politically underrepresented, socially marginalized and economically disadvantaged groups that often pay the price of this sort of national resurgence. Targeting Muslims is a common denominator that now unifies a great proportion of European political elites and media. The reasons are numerous and obvious. Some European countries are at war (which they have chosen) in various Muslim countries; desperate and failed politicians are in need for constant distractions from their own failures and mishaps; associating Islam with terrorism is more than an acceptable intellectual diatribe, a topic of discussion that has occupied more radio and television airtime than any other; also, pushing Muslims around seems to have few political repercussions – unlike the subjugation of targeting of other groups with political or economic clout. But is their more to this? A 2007-08 Gallup poll asked the following question: does religion occupy an important place in your life? The vast majority in Western European countries answered with a resounding “no”. Only 9 percent of Turkish citizens – a country with a Muslim majority – shared the popular view. Most European Muslims strongly identify with their religion, which has preserved their sense of community, and helped maintain a degree of cultural cohesion and a semblance of collective identity at a time when many in Europe are losing theirs. Muslims must not be blamed for this loss, and nor should they be punished, derided or targeted for daring to hold onto their beliefs. Returning again to France, what is most alarming about the anti-Muslim measures is that they are largely led by the government itself, rather than a fanatical group of disenchanted ideologues. Eric Besson, the country’s Immigration Minister, stated on December 16 that Muslim veils will be grounds of denying citizenships and long-term residence. Besson was only echoing the disquieting policies of conservative president Nicolas Sarkozy who has started a ‘national identity campaign’ for ensuring an exclusive identity of France – one that is occupied with the targeting of immigrants, particularly Muslims. Sarkozy, Besson, and Europe’s rightwing and far right politicians must understand the possible ramifications if they continue to press with their reckless and alienating policies. Radicalization is an unavoidable offshoot of group alienation, which is sadly being used to further fuel the anti-immigrant fervor throughout the continent. It is a vicious cycle, the blame for which lies squarely with the savvy politicians and their obvious agendas. As for those who insist on blaming Islam for Europe’s woes, they should really find another pastime; the self-indulgent game is too hazardous and must stop.